Dr. Foda completed his Otolaryngology residency at Alexandria University and ranked first in his Masters degree which he passed with a grade of “Excellent with honors”, he then moved to the United States where he joined the University of Texas (UTHSC) in Houston for a 2-year clinical fellowship in facial plastic and reconstructive surgery under the tutelage of Dr. Russell Kridel. At completion of his fellowship Dr. Foda published a Doctorate-degree thesis on Rhinoplasty techniques in over 300 pages, and was awarded his Doctorate degree in 1995. Dr. Foda returned to Alexandria University where he started a Facial plastic surgery division in the Otolaryngology Department; this was the first division of Facial plastic surgery in any of the 18 Egyptian Universities. As a professor and chief of the division, Dr. Foda started training the Otolaryngology residents on all facial plastic procedures, he also supervised Masters and Doctoral degree theses on a variety of topics in the field of facial plastic surgery. 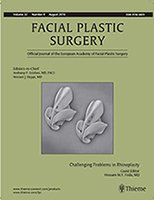 Dr. Foda made valuable contributions to the facial plastic surgery literature by publishing numerous scientific articles and book chapters dealing mostly with nasal tip modifying techniques, management of nasal deviations, and correction of cosmetic and breathing problems resulting from failed previous rhinoplasties. Member of the Egyptian Society of Surgeons. Member of the Egyptian Society of Otolaryngology. Member of the American Academy of Facial Plastic & Reconstructive Surgery. Member of the European Academy of Facial Plastic Surgery. Licensed Consultant of Facial Plastic Surgery, Dubai, UAE. Licensed Consultant of Facial Plastic Surgery, Kuwait.